Crème de la Mer in support of the Breast Cancer Awareness Campaign has created this limited edition of The Hand Treatment available in October. 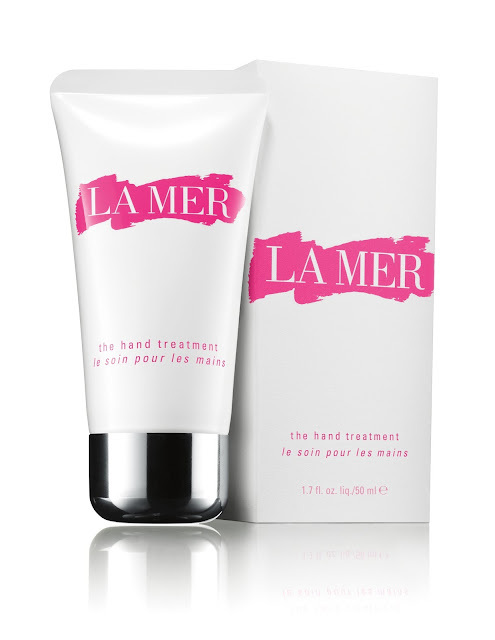 We see the continuation of La Mer's new redesigned packaging together with pink accents. The Hand Treatment’s healing moisture soothes hands on contact, working to help protect and rejuvenate even the driest hands while diminishing the look of age spots. Formulated with La Mer’s nutrient-rich Miracle Broth, The Hand Treatment improves skin’s overall condition so hands look younger and feel softer. Donations from the sales of the Limited Edition The Hand Treatment by La Mer will go to the Breast Cancer Research Foundation.